Love Island fans will be treated to their very own guide to “cracking on” and “mugging off” in an upcoming book based on the hit dating series. The hefty hardback includes a glossary and foolproof instructions on how to emulate favourite islanders, and how to avoid behaving like the rest. It comes days after the ITV2 show’s third season finale, which saw a record-breaking audience tune in to watch Kem Cetinay and Amber Davies crowned winners. After it became the most talked-about reality show of the summer, Hamlyn’s Love Island – On Paper aims to break down all the best tips, tricks and quotes that gripped the nation. It includes advice on how to tell if you’re being a “melt”, a “Bruv’s guide” to serious conversations, how to work out which islander’s basket you should put all your eggs into, Dr Marcel Somerville’s guide to coping with heartbreak, and a crash course in being classy from Camilla Thurlow. Readers will also have the help of a crucial in-built dictionary, defining terms such as “pied off” and “muggy”. 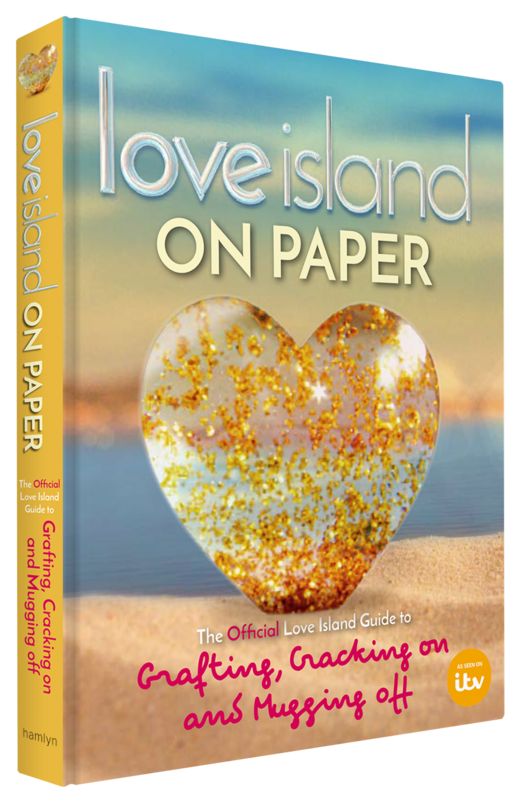 Love Island – On Paper: The Official Love Island Guide To Grafting, Cracking On And Mugging Off will hit shelves on November 16, priced at £16.99.